Blue Mountains Artfest is an annual weekend art festival that celebrates the talents of local and regional Australian artists and artisans. Celebrating its 36th year of running, the festival showcases work by local and regional artists and crafts people, spanning a range of mediums including painting, drawing, sculpture, photography and mixed media. 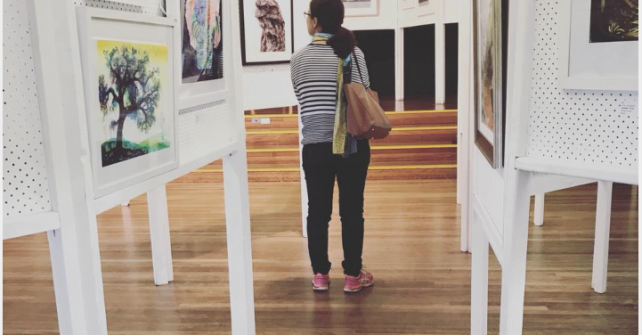 Whilst it remains a delightfully popular event amongst the local community, it also provides a wonderful platform for emerging artists to gain public exposure and opportunities for the community to witness and experience the plethora of arts right here on our doorstep, in the picturesque Blue Mountains. Whether you are looking to purchase and admire a large selection of quality artworks and handcrafts, indulge yourself in the delicious food and barista style coffee, meet the artists and artisans, enjoy the entertainment, or join in the opening night festivities, there is something for all arts and culture connoisseurs at Blue Mountains Artfest.